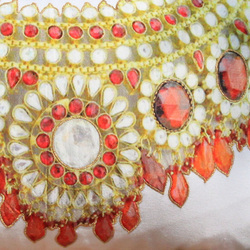 A collection inspired by the legendary jewellery collections of Indian Maharajas. 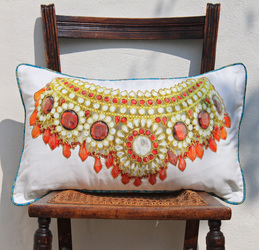 This stunning cushion features an imposing necklace of rubies and diamonds of the kind most likely to have adorned the neck of the great Maharaja or 'Shahenshah' himself. 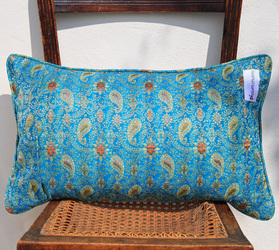 Digitally printed on pure silk and appliqued onto a textured cotton cushion. Delicate embroidery in golden thread embellishes the jewellery print. 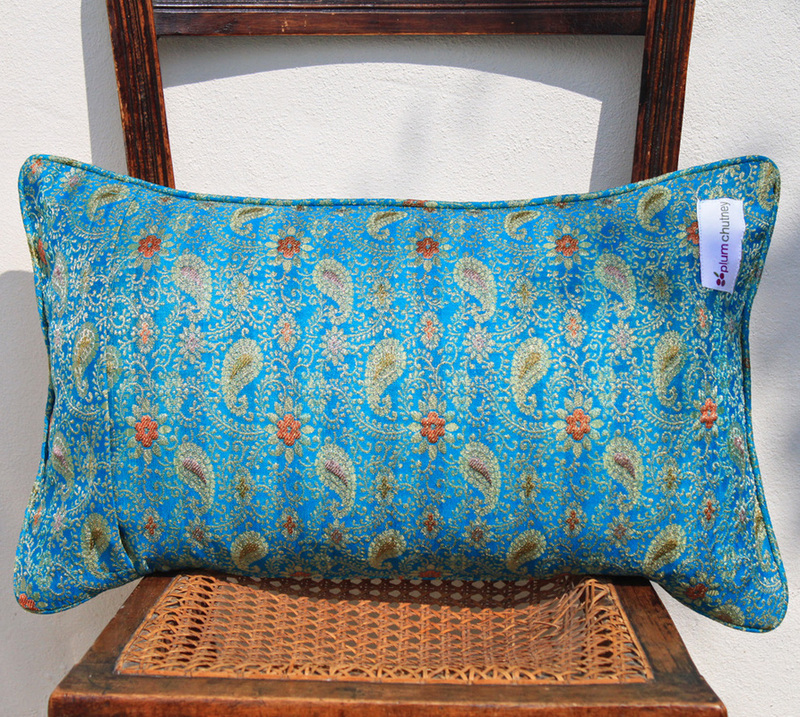 Cushion reverse and piping in brocade silk gives a luxurious finishing touch.Zip on reverse.